I get ambitious with my time. In my mind, I can get so much done. Then, life happens. I used to have anxiety when it came to getting things done. A voice of reason once told me to ask myself why does that make me anxious. Let me give you an example. This time of year, I would typically get anxious about getting Christmas cards done. I am not anxious about it this year. The world will not end if I don't get my Christmas cards done. It just means that my mailing lists gets cut down. I usually make about 100 cards for myself and 100 for the church. Reality is, most people will toss the card at the end of the season. I was super ambitious with my time on making a lot of this simple card. Then after I was done with everything, I figured out that I could use pattern paper to save time. If I get in a pinch and need more cards, this will be fast. 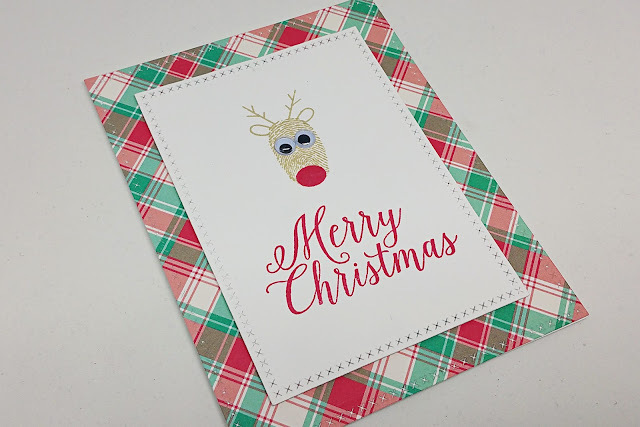 Just keep in mind that if you skip the background stamping and use pattern paper, it will save time. Plus, you can use all that left over paper from Christmas past. Lovely card. My Misti's are a great help at this time of the year.... couldn't do without them ! These are really sweet. I think if I were making as many as you are talking about I would def. be using patterned paper for the backgrounds. Most definitely a time saver! LOVE this adorable card and everytime I see a tutorial using the MISTI I think, "I really need one of those!". Perhaps I'll put a direct call in to Santa, in hopes that I get one under the tree this year! 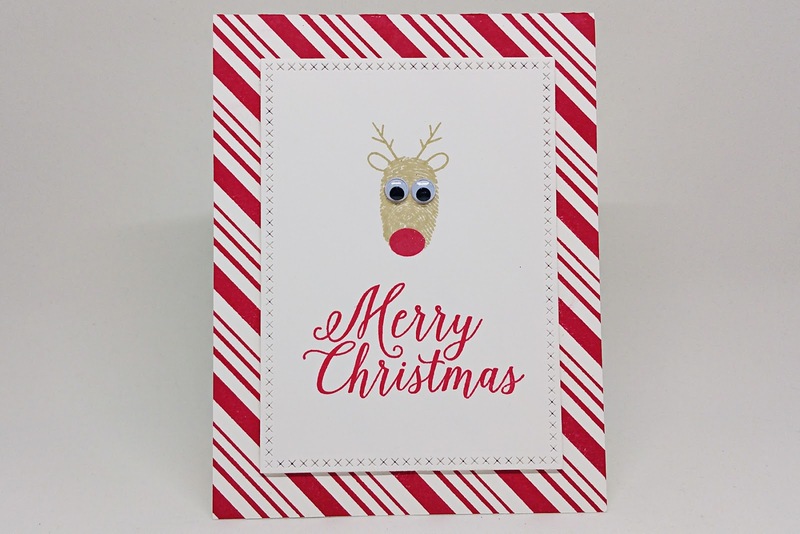 That card looks just as wonderful with patterned paper as with a stamped background, and you're right about it being a bonus to use old holiday papers along the way.